Seal Pneumatics. 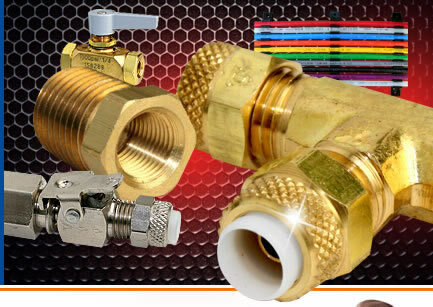 Specializing in Nylo-Seal®, Imperial Eastman Style, and the latest High Performance Tube Fittings. Seal Pneumatics has the products you need, when you need them. Our friendly, readily available depth of technical knowledge guarantees that you get the right parts and the right answers, every time. Seal Pneumatics specializes in Nylo-Seal® brand products, and the latest High Performance Tube Fittings. We focus on markets that require high reliability, such as aerospace, food & beverage, medical, instrumentation, and industrial — so we’re the ideal resource for all companies that use low-to-medium pressure pneumatic power transmission components. for timely and precise technical info and service. Images and Content Copyright © 2013 Seal Pneumatics, Inc. All rights reserved. For more information please call 847-690-9810.